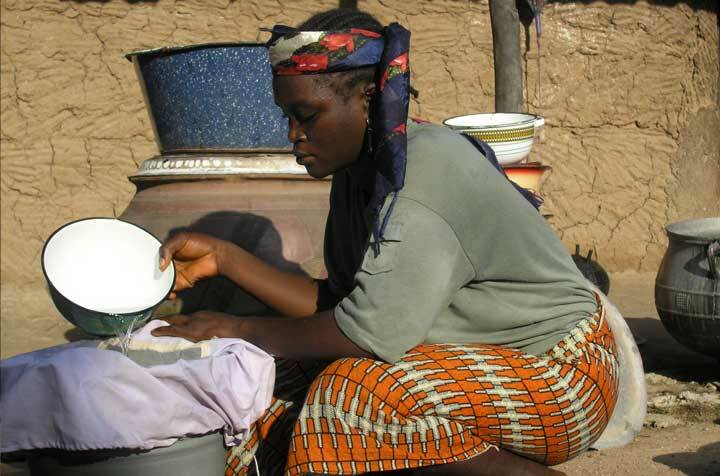 A woman in the village or Ogi, Nigeria filters drinking water. With Carter Center support, Nigeria reported its last case of Guinea worm disease in November 2008.
Credit: The Carter Center/E. Staub, “FILTERING WATER,” The Global Health Chronicles, accessed April 20, 2019, https://globalhealthchronicles.org/items/show/4929.